About the Contributory Pension Scheme (CPS), which Governor Godwin Obaseki is going great guns to get up and running in Edo State, much has been said. It will therefore amount to a tedious level of redundancy to dwell on the same issue the same way others have gone about it. However, every now and then, I still hear people wonder aloud as to what they stand to benefit from this pension scheme. In that light, I find it pressing to reveal to the people of Edo that the CPS is in fact of immense benefit to them. Under the CPS, one has the liberty to choose a Pension Fund Administrator (PFA). This freedom leaves the employee with the ability to choose what pension company they keep their money with for future collection. No more will the employee have to stick with a fund manager that they do not trust, and the employee has the option to remain with the fund manager even when he or she changes jobs. The scheme is also designed in such a way that employees can transfer their Retirement Savings Account (RSA) to another PFA if they are dissatisfied with any PFA’s services. This creates more flexibility for the customer to back out of any corner they feel they are trapped in. Additionally, it is more modern and user-friendly. The new system allows contributors access to their account balances through the Internet and other technology-driven platforms. Efficient customer service and good investment returns are at the heart of the scheme, and the PFAs have had to put systems in place, as well as personnel and services that will ensure that contributors can gain easy access to their accounts, maximize returns to be earned on their retirement benefits over time, and receive their retirement benefits with ease. What this signifies for the Nigerian worker is the absence of queues. 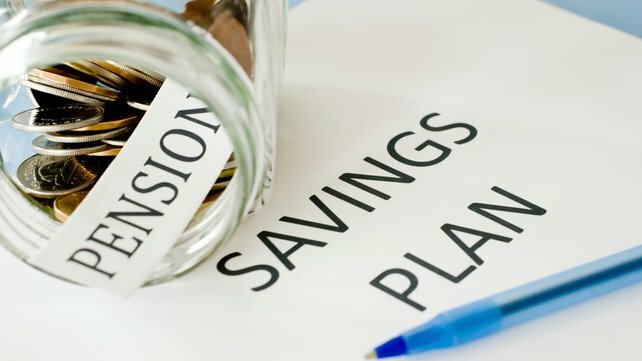 It also means that they do not have to travel long distances to get their pension payments neither do they have to present themselves for periodic pay parades since pension payments are completed directly to retirees’ accounts through banks of their choice on a monthly basis. In addition, PFAs are required to have offices across the nation to enable clients to have easy access to their PFAs. The CPS does not only benefit the individuals independently. There are other social and economic benefits as the new scheme enhances labour mobility. Workers can move freely from one employer to another without their retirement benefits suffering any negative impact. Furthermore, the system instills a savings culture among Nigerians, which has created a pool of long-term investible funds for the development of our financial markets and the economy as a whole. The life insurance cover for employees also improves staff welfare, and promotes workers’ commitment and loyalty, while providing adequate cover for a worker’s family should he or she die in service. Fund withdrawals also enjoy some constitutional protection. The Pension Reform Act of 2004 protects fund withdrawals before the prescribed retirement age of 50 years. There are various instances where this can occur – a programmed withdrawal for life, the purchase of an annuity for life, and a lump sum withdrawal. These requirements ensure that retirement benefits are only available to workers during their old age, except for situations of disability or ill health. It also ensures that adequate funds are available on a continuous basis to meet recurrent expenditure of retirees throughout their lives. The Act also enables employees who have been out of employment by way of termination or redundancy and have not secured alternative employment after six months, to access a portion of their retirement savings. The PRA 2004 stipulates investment guidelines for the management of pension fund assets and requires that PFAs adhere strictly to these guidelines because they seek to ensure the security and quality of pension fund assets. So far, this new scheme provides a solution to the pension system that has elusively dogged the Nigerian economic clime. Edo workers will do well to key into this scheme in order to bring an end to the dark and trying times that often degenerated into elderly people hoisting placards wearily and begging successive governments to release their pensions and retirement benefits.